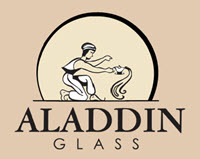 We offer all kinds of fixed windows, glass and custom work to serve your window needs. Fixed windows as the name implies, do not have operable sash or vents. The glazing is installed directly into the main frame members. Because there are no operable parts, these windows do incredibly well for air and water performance. Our fixed window series are designed to complement our operable window lines or be used separately for areas not requiring ventilation. Fixed Windows are a Breeze for us! Mounted windows are window designs that do not embody any sashes or sections of the window that are configured to open and close. Home windows of this sort are sometimes used in the designs of many several types of buildings, similar to offices, courthouses, and homes of worship. There are also windows of this kind that are generally used within the design of private residences. One of many more frequent forms of the fixed window is named the picture window. A window of this sort is designed with a frame that matches the overall parts of the room design itself. That includes clear glass that makes it possible to view the exterior area, mounted home windows of this type are sometimes strategically placed inside a room design to permit people to enjoy the view whereas additionally enjoying the comfort of the climate managed interior space. Fastened home windows can are available in many various sizes and shapes. For that reason, it is not unusual to see mounted windows in many homes of worship. It’s attainable to create a big mounted glass window design that comes with the use of stained or tempered glass that helps to minimize the glare from the sun. Christian church buildings often feature massive windows of various shapes that depict scenes reminiscent of events recorded throughout the canon of Christian scripture, or some event that is relevant to a selected Christian denomination or tradition. Fixed Windows in Los Angeles. We also offer: Fixed Frame Windows!